Norwegian’s nonstop service to Tampa Bay has commenced today offering consumers an affordable way to access Florida’s west coast with fares from £165 one way in economy and £519 in Premium. The new twice-weekly service from London Gatwick to Tampa International Airport (TPA) offers holidaymakers a convenient nonstop service with direct access to Florida’s Gulf coast, as well as offering passengers more choice and flexibility when travelling to the sunshine state with Norwegian. Flights to the hip, urban heart of Florida’s Gulf - Tampa Bay, will allow passengers to explore the city’s world-famous attractions, award-winning restaurants and vibrant neighbourhoods, before exploring St. Pete/Clearwater with 35 miles of award-winning white-sandy beaches, exotic nature trails, culture and arts. 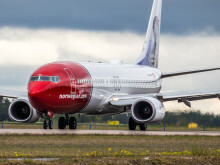 In addition to the twice weekly service to Tampa, Norwegian has also increased its winter services to other Florida destinations from London Gatwick. The airline now offers a daily service to Fort Lauderdale, increasing from three flights per week and five weekly flights to Orlando up from three per week, giving more choice to travellers seeking a relaxing beach holiday, with 14 flights per week to Florida it is even easier to visit its world-famous family adventure parks. Daily service to Buenos Aires – In response to strong demand for the London Gatwick to Buenos Aires route, services have increased from four flights a week to a daily service providing customers with greater flexibility and convenience. The launch of Norwegian’s domestic flights from Buenos Aires will allow passengers to fly affordably across the country. Lowest fares are now available from £265 in economy or passengers can fly in enhanced comfort in the Premium cabin from £640 one way. Four weekly flights to Las Vegas – For high rollers, Las Vegas returns this winter with two additional weekly services. Fares start from £165 in economy and £520 in Premium one way. Daily service to Boston – Services to Boston will increase from five flights a week to a daily service. Fares start from £145 in economy and £420 in Premium one way. Matthew Wood, SVP Commercial said: “We are delighted to offer passengers another affordable route to the USA with the addition of Tampa, Florida. This winter we are continuing to offer consumers greater choice and flexibility when flying Norwegian with more flights to our most popular destinations. 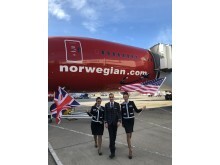 Norwegian’s long-haul flights from London Gatwick are operated by brand new Boeing 787 Dreamliner aircraft offering up to 344 seats in a two-class configuration, economy and Premium. A new extended Premium cabin has been introduced, with 60% more seats for passengers wanting an enhanced experience. The new 56-seat cabin configuration offers passengers more than a metre of legroom, complimentary meal service and drinks, generous baggage allowance and lounge access at selected airports. 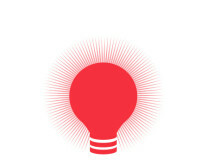 Norwegian carries more than 5.8 million UK passengers each year to over 50 global destinations. The airline has one of the youngest and most fuel-efficient fleets in the world with an average age of 3.7 years. Norwegian has been named ‘World’s Best Low-Cost Long-Haul Airline’ for the fourth consecutive year and ‘Best Low-Cost Airline in Europe’ for the sixth year in a row at the renowned Skytrax World Airline Awards.